7″ Out of Stock. Available soon. 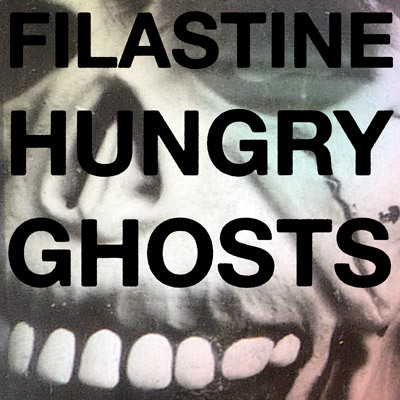 Filastine, globetrotting percussive beat-master and thrower of dirty bombs, presents ‘Hungry Ghosts’ the third release from Barcelona’s subsonic flagship, Disboot and perhaps the finest cut from his album ‘Dirty Bomb’, in a delicious collectable 7″. With fellow Disbooter Cauto working the B-Side remix, this release carries much more weight than it’s small format might suggest. ‘Hungry Ghosts’ pours out of the speaker with stretched and warped melodies, atop pummeling, percussive bass and drums. Filastine cuts, copies and mutilates the beat around the rapid fire vocals of Australian Wire MC, and Japan’s ECD, to craft a song that transcends region and language to create something hybrid, global and incredibly danceable. Cauto’s remix re-dresses the song for the dance floor, twisting the staccato rhythms of the original into a ghetto-tech / acid-tech sensibility, guaranteed to ignite dancefloors from here to Timbuktu.